My impression so far is to save your money; instead of buying the most expensive new tires, buy the venerable Pirelli MT 66 Route motorcycle tires. We put the Michelin Commander II motorcycles tires to a nearly 11,000-mile test aboard a Harley-Davidson 883R Sportster. Here's our review. The Dunlop Sportmax Q3+ tires are a step forward from the Q3 model that was introduced in 2013. Here's our long-term review. The Dunlop Sportmax Q4 is a no-compromise street-legal track tire. The performance far outpaces the Q3+ that it supplements, and continues Dunlop’s tradition of a forgiving high-performance tire. A “hack” is generally defined as a clever or elegant solution to a nagging problem. The phrase “There’s a hack for that” seems to be a common expression nearly synonymous with saying “Get with the times, man!” I’ve discovered a hack for transporting motorcycles—Bolt It On Rack System for transporting motorcycles. Bridgestone’s design objective for its all-new Battlax Adventure A41 and Battlax Sport Touring T31 tires is seemingly simple—increase rider feel and confidence without sacrificing wear and durability. We head to Morocco to put both tires to the test across a wide variety of terrain. Riders looking to handle a variety of weather conditions, while still enjoying good levels of performance in dry, wet, or mixed conditions should have the Michelin Road 5 on their radars. Dry riding may be relative to its precursor, but the wet handling capabilities make the Michelin Road 5 an enticing offer. If you have modest tire requirements, along with modest means, the Shinko 777s are perfectly capable of upgrading a ride and increasing personal safety. One of our readers test the new SBS EVO Sinter brake pads on his Aprilia Tuono Factory, which needed brake pads after 10K miles of canyon and track riding. 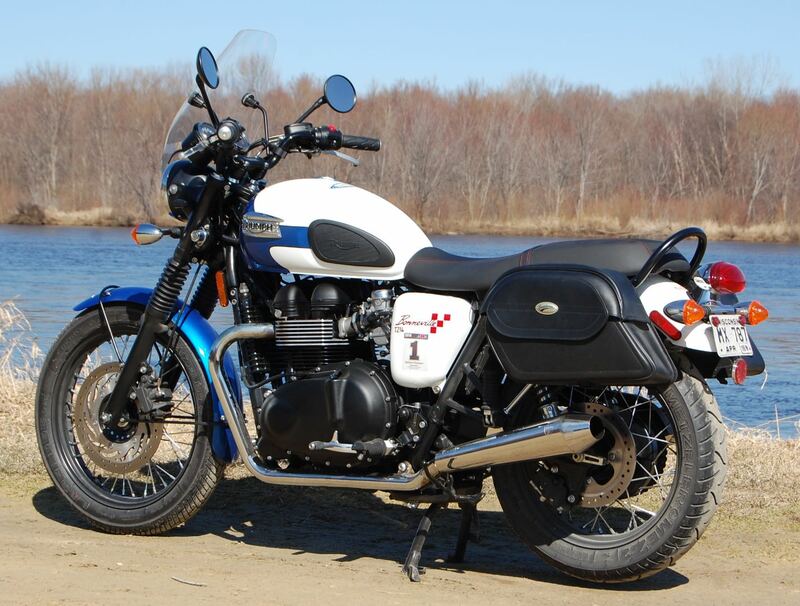 One thing seemed necessary to complete the look of my Triumph Bonneville T214—changing the stock exhaust with a set of British Customs Predator units. If the Dunlop Roadsmart III tires held up under the kind of demands of the big Yamaha FZ-10, I knew I’d be impressed, and perhaps even a little surprised. 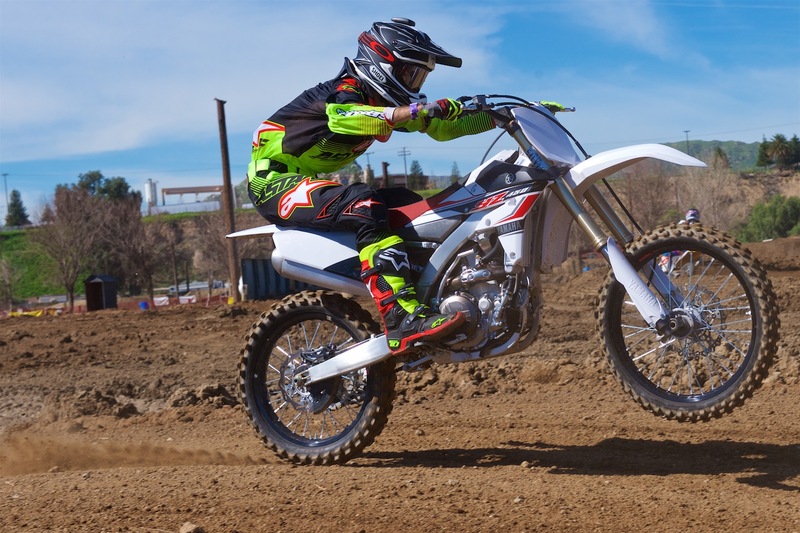 We review the LitPro, which is a personal data acquisition device for motorcycle riders of all levels, whether motocrossers or road racers. Due to the potency of the heat, the battery saving mode, and the reasonable price, the Oxford Heaterz are great accessory for extending your riding season.